Cleaning, we all need to do it and what better way than to clean with all natural cleaning products! They are better for your health, the environment and your budget! I used to clean with all of the over the counter cleaners. I remember dreading going to the store to buy them, they are so expensive and such horrible smells and fumes. I dreaded cleaning, but it had to be done. I had an idea how harmful cleaners and the fumes can be and I reacted badly to them. If there is any advice that I wish I could plaster around the world, it is to read and research the label of every cleaning product that you use because those difficult to pronounce ingredients are DANGEROUS!!!!! Did you know that Chlorine bleach can cause coughing, shortness of breath, chest pain, nausea, or other symptoms? Did you know that Ammonia can be irritating to the skin, eyes, throat, and lungs? Did you know that Triclosan and Triclocarban (common in hand soap) has been linked to hormone imbalance and an increased risk of breast cancer? Once I became aware of the dangers, I changed to buying natural cleaning products which ended up being quite expensive. Once I started using essential oils I started to research how I could make my own cleaners. I also found out that I had a lot of the natural ingredients that I needed already at home. I am so grateful to have learned this information and happy to share. I feel it is very important topic. Now I only clean my home with all natural cleaners and it saves me a heap of money and I feel better with my health and know that my kids are not being exposed to horrible ingredients either. When you are making your own cleaning products at home, there are some Must-Have Basics that you are likely to have at home already. Great natural cleaner and polisher. Rub it into leather or polish wood surfaces. Then you will need to add some essential oils. 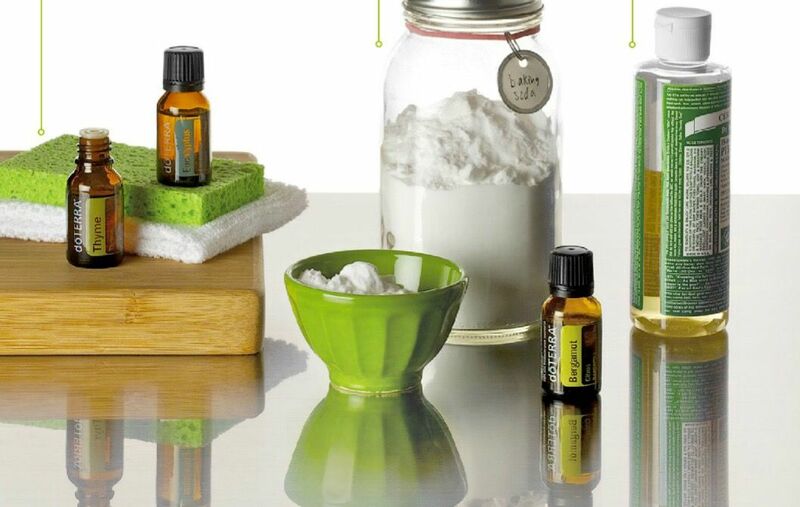 Many oils have antibacterial, antimicrobial and sanitizing properties that make them really effective when cleaning. Using pure quality essential oils cuts down on your toxic exposure and gives you confidence to know exactly what you are using while you are cleaning. On Guard Cleaner Concentrate – THIS STUFF IS AMAZING!! Tip: Replace toxic air fresheners with a diffuser! If you are wanting to try some simple cleaning recipes, try these ones here. Our starter packs have a great range of oils to help you get started using oils for cleaning. Check out the options here.